What You Should Know Before Buying an Affordable Laser Engraving Machine? What is Laser Engraving Machine? Laser engraving machine is a kind of laser equipment with CNC (Computer Numerical Control) that uses Fiber/CO2/UV laser beam to engrave or etch 2D/3D letters, numbers, pictures, signs and logos on the surface of Metals (steel, copper, brass, aluminum, gold, silver, alloy, iron), Acrylic, Delrin, Glass, Rubber, Wood, Fabric, Plastic, Leather, Metal, Paper, Stone, Textiles. 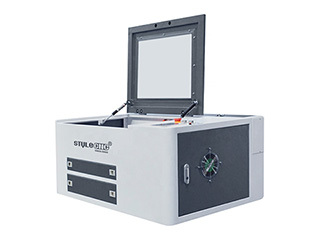 Laser engravers are equipped with machine frame, laser power supply, laser generator, laser head, reflector path, water chiller, control panel and CNC system. 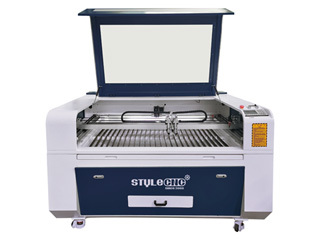 Laser engraving machine is also called laser engraver, laser engraver machine, laser engrave machine, laser etching machine, laser engraving system, laser engraving table, laser engraving equipment, laser engraving tool. 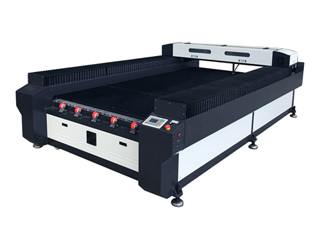 Laser engraving machines are divided into laser wood engraving machines (laser wood engravers), laser metal engraving machines (metal laser enrgavers), laser leather engraving machines (laser leather engravers), laser stone engraving machines (laser stone engravers), laser fabric engraving machines (laser fabric engravers), laser plastic engraving machines (laser plastic engraver), laser glass engraving machines (laser glass engravers), laser acrylic engraving machines (laser acrylic engravers) according to engraving materials. 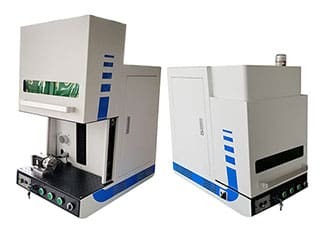 Laser engraving machines are divided into CO2 laser engraving machines (CO2 laser engravers), fiber laser engraving machines (fiber laser engravers), UV laser engraving machines (UV laser engravers) according to laser source. Laser engraving machines are divided into small/mini laser engraving machine, handheld laser engraving machine, tabletop/desktop laser engraving machine, portable laser engraving machine, 2x4 laser engraving machine, 4x4 laser engraving machine, 4x8 laser engraving machine, 5x10 laser engraving machine, large format laser engraving machine according to table sizes. Laser engraving machines are divided into home laser engraving machine, hobby laser engraving machine, industrial laser engraving machine according to applications. Applications Industrial Production, School Education, Hobbyists, Small Business, Home Business, Small Shop, Home shop, Craftsman. Engraving Materials Metals (Copper, Gold, Silver, Aluminum, Alloy, Iron, Brass, Steel), Wood, Stone, Glass, Acrylic, Plastic, Rubber, Leather, Fabric, Textile, Paper. Laser engraving machines are widely used in various industries of Embroidery, Brand processing, Packaging and printing, Advertisement decoration, Architectural Models, Wood processing, Smartphones and Laptops, Laser knife mold, Crafts, Leather clothing, Shoes, Toys, Fablabs/Education, Medical Technology, Rubber Stamps industry, Watches industry, Architectural Models, Packaging Design, Automotive Industry, Mechanical engineering, JAwards & Trophies, Sign/Displays, Signage, Giveaways, Electronics Industry, Data plates, Jewelry industry, Ball bearing, Barcodes serial numbers, etc. 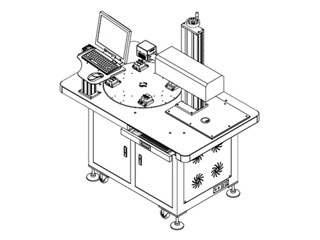 With a laser engraver, you can engrave different designs on different material surfaces. The laser beam will make the surface to vaporize. It is a good idea for someone who want to customize or personalize something. 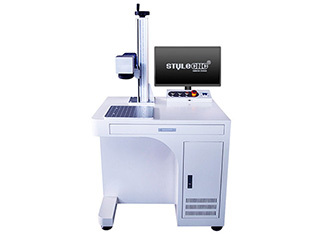 As a guaranteed laser engraving machine manufacturer and supplier, STYLECNC provides all kinds of best laser engravers for sale to fit your works. Genuine laser engraving software and laser engraving system, the best original laser engraver machine kits and parts. 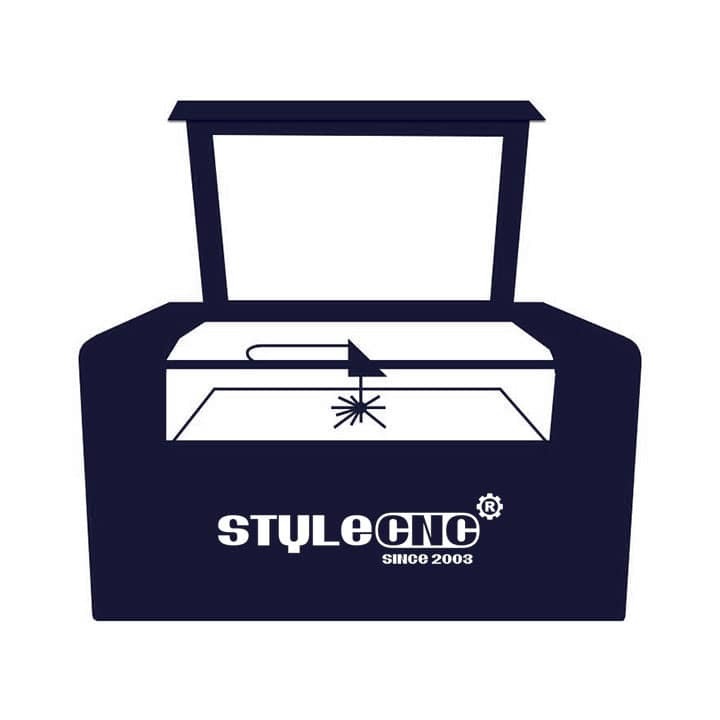 STYLECNC offers ex-factory price list for your laser engraving plans without any intermediate. You will get the best laser engravers with affordable price from us. 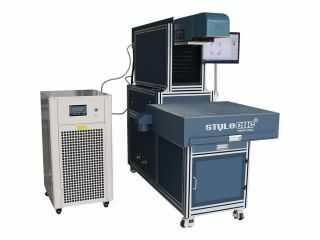 STYLECNC also offers smart 2D/3D laser engraving solutions, 24/7 one-to-one free laser engraver service and support, which is available free. Deep laser engraving machine for metal with 50 Watt fiber laser source is mainly used for deep engraving on metal surface(guns, firearms, stainless steel, titanium, aluminum, brass) and nonmetal surface. The fiber laser deep metal engraving machine can also cut thin metals. Now the fiber laser metal engraving machine for sale with affordable price. 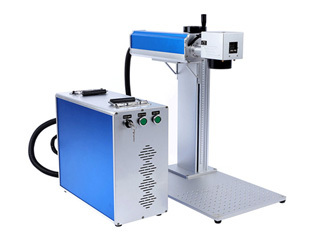 CO2 Laser engraving machine with 60W, 80W, 100W, 130W, 150W, 180W laser power is designed for engraving on wood, fabric, leather, glass, acrylic, paper, plastic, stone, etc. The CO2 laser engraving machine is widely used in signs, arts, crafts, gifts, shoes, toys, garments, packaging and paper industry. New design fiber laser engraving machine for color marking is mainly used for marking and engraving black, white, grey, colors on metal surface such as stainless steel, titanium, etc. now the color fiber laser engraving machine for sale with affordable price. 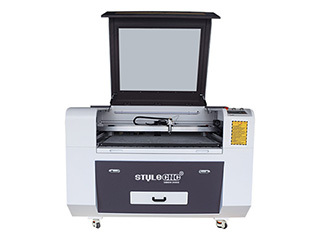 Affordable laser engraver with double heads is designed for wood, glass, fabric, leather, acrylic, PVC, MDF, plywood, bamboo, marble, ceramics, paper, etc. 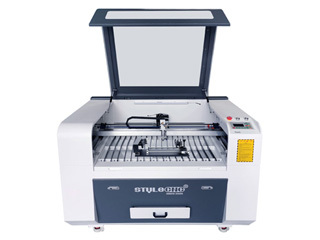 now the affordable laser engraver for sale with affordable price. 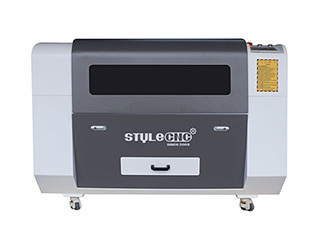 STJ9060 hobby laser engraver is used for engraving, etching and cutting on wood, plastic, fabric, jeans, etc. The hobby laser engraver is mainly applied in home business, small business, home shop and small shop. Now the hobby laser engraver for sale with low price. Laser wood engraving machine is designed for engraving/cutting hardwood, solid wood, soft wood, plywood or MDF as toys, crafts, arts, gifts, signs, logos and boxes. 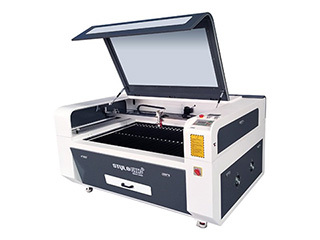 Now the affordable laser wood engraver for sale with best price. The best laser metal engraving machine with 100W IPG fiber laser source is used for engraving logos, signs, letters, numbers, patterns or pictures on metal surface such as steel, aluminum, copper, alloy, silver, gold, etc. Now the best metal laser engraver for sale with affordable price. 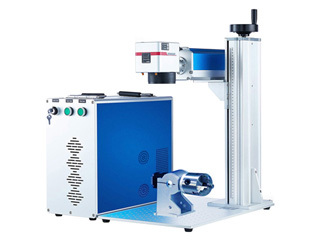 Deep 3D laser engraving machine with fiber laser source is especially used for deep engraving to realize the 3D surface, and the 3D laser engraver has enclosed structure for safe protection. Now the affordable 3D laser engraving machine for sale with best price. 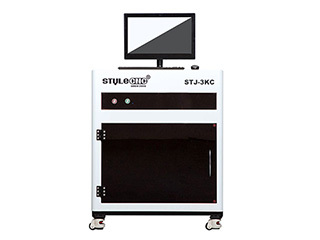 STJ6040 desktop laser cutter/laser engraver with CO2 laser tube is designed for small business or home business for cutting/engraving signs, logos, letters, numbers, patterns on wood, plastic, acrylic, rubber, glass, bamboo and other nonmetal materials. The best laser engraving machine for guns, firearms, weapons is also called as gun laser engraver, firearm laser engraver, gun laser engraving machine, firearm laser engraving machine, the firearms, guns laser engraver adopts IPG fiber laser source for engraving on gun barrel, gun stock, gun magazine holder, gun magazine, gun muzzle and gun cylinder. Now the best guns, firearms laser engraver for sale with affordable price. 3D Dynamic Focus CO2 Laser Marking/Engraving/Cutting Machinewith 200W RF laser tube is especially designed for paper cards such as holiday cards, invitation cards, christmas cards. 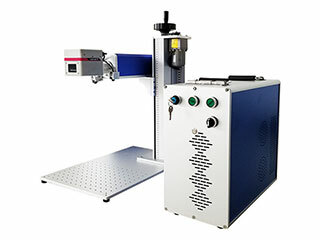 Affordable metal laser engravers, laser metal engraving machines on sale for metal tags, arts, crafts, parts, coins, guns, firearms, jewelry, mobile, iPhone of aluminum, steel, copper, alloy, gold, silver, titanium, brass, iron with ex-factory price, 24/7 free metal laser engraver service, Color/Deep/Flying/Rotary/2D/3D laser metal engraving solutions from the best metal laser engraving machine manufacturer - STYLECNC. High Speed 3D Crystal Laser Engraving Machine can inner engrave 2D and 3D patterns in crystal, glass and acrylic,etc the transparent materials, the 3D crystal laser engraving machine is very suitable for trophies, portrait, names and other personalized gift souvenirs 3D crystal laser engraving business. I was a little concerned from reading previous feedback and I have to say the instructions were difficult to understand. But once we got this up and running, the co2 laser engraver worked like a charm and we loved it! It works as advertized and is a great begininning laser machine to learn on. Overall good so far. Took a bit of figuring out, but the laser wood engraver is working well. Online tutorials helped. Will update more later. I must say I really like ordering with this company the item was great right out of the box, I was up and using in 18 mins, I know because I timed it from the time I opened the box, to when I engraved a photo of Bruce Lee on wood see photo. I am ordering another laser engraving machine right now. 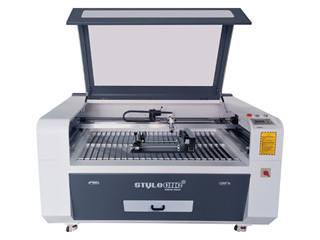 A great laser engraver with CNC. I used for a few minutes. It is easy to operate. Very impressed with the detail of engraving produced. Don't expect quick engraving times for full size images, but text can be done in seconds depending on size. I bought the laser engraver back in May. While I had a learning curve on using the the laser. Make sure you have plenty of cool water and the pump is working. Otherwise you don't have a laser any more. Excellent machine. Best service from the seller. Best price for a laser engraver of this size. The laser cutter works perfect. I reccommend this product and seller. My compliments! I have received this laser engraving machine for a couple weeks now, and it is a good machine for laser engraving beginners. I started my own business with it in May and it has already payed for itself. Works great on wood and leather, and even cuts thin wood. Overall quality of machine is good, I haven't had any issues with it. Worked great from the very beginning when I set it up.